Every fortnight teachers and teaching assistants are able to attend a lunchtime CPD session. Each session focuses on developing an aspect of learning and teaching, or ICT skills, and lasts for half an hour. 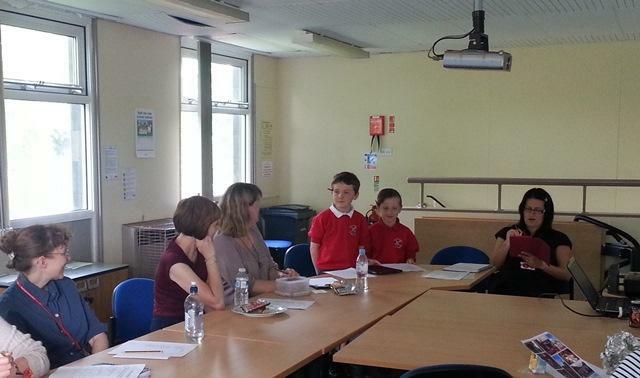 Learning lunches begin with a time to share experiences of trying to implement an idea from the last Learning lunch. This is followed by different people sharing an idea or 'top tip' in just one minute. The 'main course' (or key concept) is shared with classroom applications for staff to try out in their teaching. So far, topics covered during our learning lunches have included questioning, blogging, AfL, SMART Notebook, using iPads for learning and collaborative learning. Some of our children have also presented their own ideas for developing learning and proved very popular!